Our teachers have worked so hard for our kids all year--now is the time to show them just how much we appreciate them! 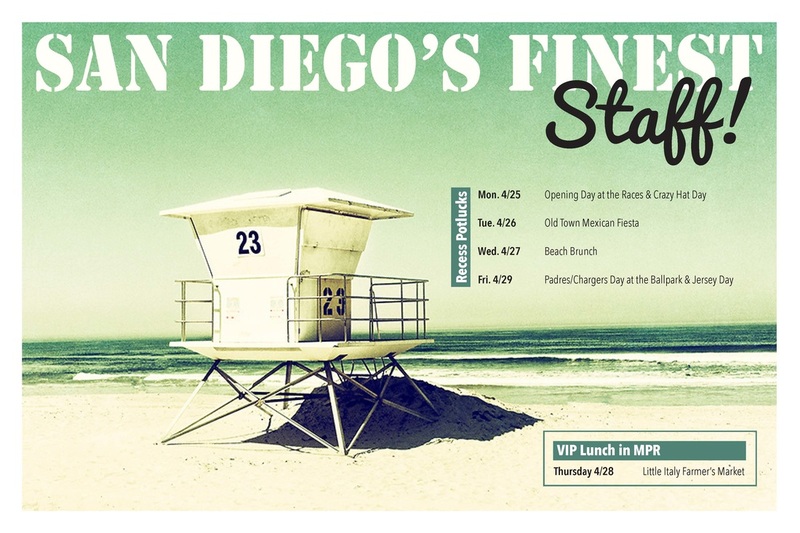 Staff Appreciation Week is April 25-29 - the theme this year is "San Diego's Finest!" where we celebrate everything we love about San Diego, including San Diego's finest teachers and staff. ​Each class's participation makes it possible to treat all 85 staffers to daily recess potlucks and one big VIP luncheon. Please sign up below to help make your teacher--and all our staff at LCH--feel special and loved. Any questions, contact Staff Appreciation Week Co-Chairs Karina Shaver or Kelly Salmon.